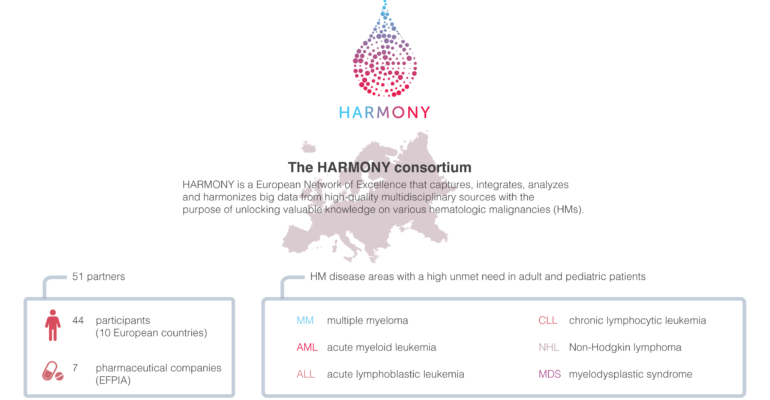 HARMONY, an IMI-JU funded project, coordinated by The Institute for Biomedical Research of Salamanca, launches a “Big Data” platform that will enable hematologic cancers research. The platform, led by the Spanish partner GMW, will integrate databases of more than 10.000 anonymous patients and will be able to provide information about the best treatment for each hematologic disease, paving the way for personalized medicine. The launch of the platform had a great coverage in Spanish media. Cuatro, Diariomedico, Ileon are only a few of the Spanish mass media that reported the set-up of the platform.